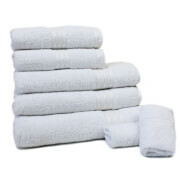 The Restmor Supreme 7 Piece Towel Bale Set is a luxurious 500 gsm towel set crafted from 100% Egyptian Cotton. Designed to retain softness and absorbency after every wash, the towels have a striped header panel and will add a contemporary feel to your bathroom. 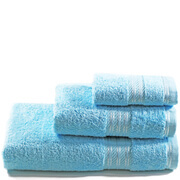 The set comprises 2 x face towels, 2 x hand towels, 2 x bath towels and 1 x bath sheet. I've had these towels for almost a year now and they are still.in good condition! At first I was a little disappointed with them, as they weren't as thick, fluffy or soft as some other Egyptian cotton towels I have, but these were on offer at the time and for the price I decided to keep them. 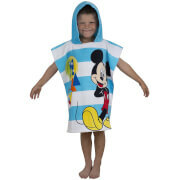 They were still nicer than the average towel around after all! Considering how well they've held up I will buy these ones again when needed. These soft and fluffy towels reminded me of gentle waves of the blue-green warm and clear sea.They also carefully and gently touch the skin and hair. It's adorable and nice. When I go to the sea, I will take this set, it will be the harmony of color towels and the sea. These were a good buy at a good price. A great choice of colour and quality product. I am very happy with these towels.